a new lease | Malmaxa. Another View, of True ©. As promised, one of my personal favorite excerpts from Beltamar’s War follows this post. It’s from a section titled “Of Dragon, and Eternity”. Things are not as simple as they first seem. Although my writing doesn’t pay the bills, it does sooth the soul. Recently my soul has been in sore need of soothing, so I took up the paused editing of “Malmaxa II – The Pilgrimage” in earnest. The fruit of my efforts is its re-release – links appear at the end of this post. Four years of editing is a long time… However that time has let me come back and experience my own writing as a reader might. When did my writing get so sad? It didn’t get sad, it has always provoked thoughtful sadness. That is just the way it is. That statement makes me reflect on what my writing actually is, which I’m going to share. Since I can only speak for myself it might mean something completely different to you. I’d love to hear what you have to say about it. Malmaxa is published under the Fantasy Genre. But is Malmaxa fantasy? No, it isn’t. So why did I publish it as Fantasy? Because there isn’t a genre that fits what Malmaxa really is. In a world that seems to demand conformity, Malmaxa simply doesn’t conform. I’ve called the genre into which it might fit, “Philosophy, couched as Fantasy“. However Malmaxa isn’t really even that. Malmaxa is a look at the nature of people. It is an examination of motive. It is an investigation into love. It is a tale told by an alien soul. It is a love story, a mystery, a tragedy, but more than anything Malmaxa is a work that tries to provoke introspection. It is something that attempts to teach us about ourself, about why we are the way we are, about why we do the things we do, about why we embrace self-deceit, but above all those things Malmaxa is about why love is the meaning we’ll find in everything that truly matters to us. 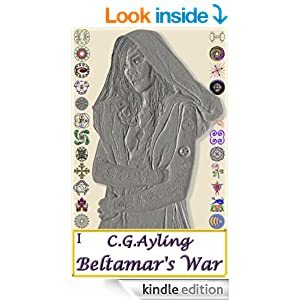 A young author I respect wrote a review I really enjoyed reading, her name is Amira Makansi and her review of Beltamar’s War is here. Amira described it as a book in which “Nothing really happens“. I smiled. You see, that description provoked a line from Malmaxa, “Perception modifies truth.” In a way, Amira is right – in fact her review is spot on, she sees the questions the book raises and raises meaningful questions about what she sees. In my opinion our society places inordinate value on action, a perception that has seeped into our thinking. We’ve been taught to expect “things” to happen, if you’re looking for that sort of traditional action, you won’t find much of it in Malmaxa. The vast majority of the action you’ll find in Malmaxa happens in the minds of the characters as they try to make sense of the behavior of other characters. Indeed, if my writing works, you’ll spend a lot of your time in the heads of a lot of people, and you’ll be as confused as they are. However you’ll be confused for an entirely different reason. Why? As the reader you’re privy to the thoughts of every character, you know what they’re all thinking. Malmaxa’s characters aren’t, they are restricted to what they see and what they think, and worse, they are restricted by what they think they see. In our minds is where we construct the world in which we live, and the world in which we live is different for us all. I guess that is what my writing is really about. The fictitious world of our private thoughts that are more real than the ground beneath our feet. That is what Malmaxa is really about – the places we really live, and where we really dream. Now, since I said I’d include one of my favorite parts of the first book in this post, here it is. It is from a section titled “Of Dragons, and Eternity”. TimeLine: Night, Freyjasday, 2nd sixday, 9th Luna, 3600. Selene sat up and looked about curiously. From the dim light and the overhead rock formations, she knew she must be in a cavern, but had no recollection of how she came to be here. No heat, no cold, no breeze, just… nothing. Vaguely concerned, she looked down at her legs. They lay flat on the ground. Lifting one, she let it fall. It smacked into the stone floor with an audible, meaty smack but with no sensation of impact. She stood up, disquiet increasing, clenched her fists, and looked at her hands. Nothing unusual struck her, they were just… her hands. With her right hand she took a fold of flesh on her left arm and pinched, hard. Now thoroughly alarmed, Selene heard her heart thumping loud in her chest, yet she could not feel its beats. Frantic, she glanced about. Her mind, normally so disciplined, had become almost incoherent with fear. In an attempt to calm herself she breathed deep. She realized she could hear her breath, but not feel it. Strangely, this knowledge soothed her. She relaxed, hearing the muscles in her neck lose tension with slight, crackling pops as she rolled her head. I can hear, but not feel. What a strange way to live. It seemed somehow foreign, Live? You do not live, prey. You walk the pathway to Eternity. The thought echoed, as though reflected back from the cavern’s walls. Surprised, Selene thought, Why would I have thoughts… I do not have? With an element of mimicry, the foreign thought responded, Why would I… converse with prey? Hearing a scraping noise, Selene turned toward the sound. An enormous form lumbered toward her. Its golden eyes, split by the vertical slash of a pupil blacker than pitch, fixed upon her. Its forked tongue flicked in and out as it sampled the air. It seeks my scent! Selene froze motionless in place as she thought, A Dragon! The foreign presence responded, Dragon? Does Dragon move, prey? Selene’s fear filled mind screamed, Yes! The Dragon stopped. The thought presence, again, Does Dragon move, prey? No sensation of its beats, but heard, and loud, so loud the Dragon must surely hear. The foreign thought, I… am Dragon. You… are prey. Selene’s knees buckled beneath her. She sat with an audible thump. Although her teeth clicked aloud from the jarring impact she perceived no pain. Resigned to her fate, she looked directly at Dragon, It will kill me now. The return thought came immediately, Kill you, why? Selene’s surprised thought answered, To eat me! Dragon responded, Eat you? Why, when it grants no satisfaction? I cannot taste your flesh, catch scent of your blood, or feel the joyous crunch of your flimsy bones breaking between my jaws. Selene relaxed, This is just a dream. I’m safe. Dragon responded, You are wrong, yet you right. This is no dream, prey. You are already dead, as am I. This is the Hallway to Eternity. Yet you are indeed safe, for nothing can harm those who are already dead. Again Selene asserted, This is a dream! Thoughts whimsical, Dragon responded, Would that it was. This is the path between the instant that is life, and the Eternity that is Death. My mate and I spent our moment in life. Preceding me into death, he traversed these halls before me. I seek his scent, that I might share Eternity with my beloved. Yet, I smell nothing. The Dragons forked tongue flicked out, tasted the air, and retracted. Though wordless and without coherent thought forms, an intensely emotive emanation issued from the Dragon. It conveyed enormous sadness, along with deep distress. Watching the Dragon’s actions, while perceiving its pain, brought Selene to pity, Poor thing, to be trapped in this strange dream with me. Surprise sufficient to displace the distress immediately registered in the foreign thought. A moment later Dragon’s thought came, Strange indeed… to be pitied by prey. Do not pity me, prey, for I… am Dragon. Indignant anger flushed Selene’s cheeks, I am Selene, not prey! Surprise increased in Dragon’s thought, Prey… bear names? Selene pointed to her mother’s mark with one stiff, angry finger, Yes! We bear names! I bear the marks of my family, all named. The Dragon took two quick strides toward Selene. Each pace would easily have covered five of Selene’s. Involuntarily, Selene scooted back on the ground, fear immediately replacing her anger. A soothing thought, Fear not… Selene. I wish only to behold these… these much-loved marks. Selene relaxed as best she could. The Dragon approached, very close. Tilting its head to the right, the massive beast turned to looked down at Selene through its left eye. The vertical slit of its pupil contracted then widened slightly as the Dragon struggled to focus on Daniskira’s mark. Confused, Selene formed the strange, sibilant word in her mind, Thirihshhastra? I don’t know this word. Yet, it is pleasing, and soothing both. I would know what it means? An inexplicable thrill filled Selene. She repeated the name in her mind several times before speaking it slowly, and aloud, “Thirrr eeeh ssshhh huhzz trahh.” The way it rolled off her tongue proved even more joyous than its echo within her thoughts. Surprised, Thirihshhastra thought, A sound, reminiscent of my name. The expression within the enormous eye conveyed unmistakable amazement. Thirihshhastra thought, Selene! You have the gift of speech? Thirihshhastra took two quick paces backwards, shock and dismay evident in her responding thought, The prey curses my name! In an instant Horror erased Selene’s grin. Selene snapped her mouth shut, and thought, No! No! I only spoke my thought aloud. Sorry, Thirihshhastra, I am sorry. Conflicting emotions filled Thirihshhastra’s emanation. Anger, fear, suspicion, and most dominant, confusion. After a few loud, unfelt heartbeats, Thirihshhastra’s thought came, While baring your teeth in attack, you made terrible sounds and uttered the likeness of my name. What could this be, but a curse? Selene quickly covered her mouth with her hand to hide her relieved smile. She suppressed her desire to speak the words and thought them instead, I smiled with wonderful joy, and said the words rather than thinking them. It was no curse, believe me. Thirihshhastra’s pensive thought, I am in your thoughts, Selene. Thoughts cannot lie. After a few heartbeats of hesitation, Thirihshhastra’s further thought came, After the joyous sound that was the semblance of my name… well, that such a horrific noise is your speech surprised me. Adding to my confusion was your, ‘smile’. Puzzlement evident in Thirihshhastra’s emanation, she contemplated the strangeness of the tiny being before her. After a few moments her further questioning thought came, Your kind bears its fangs in joy, not in readiness for attack? Brow creasing in concern, Selene thought, I was happy so I smiled, nothing more. If you are prepared… I shall do so now. After a few moments, Thirihshhastra’s thought, I am prepared. The joy within the sound brought back Selene’s smile. Thirihshhastra’s thoughts bore understanding, though she flinched at Selene’s smile. After a moment’s hesitation Thirihshhastra again approached close to Selene, focused her eye on Daniskira’s mark, and thought, Selene, you say the marks of your family are all named. What is the name of this mark? Puzzled, Selene responded, All in my family are named and I wear their marks, with honor. The mark you look upon is the symbol of my mother, Daniskira. Comprehension filled Thirihshhastra’s thought, along with surprised pleasure, Daniskira? A beautiful name, worthy of Dragon. It rolls… like thunder in a distant storm. After gazing at Daniskira’s mark for several heartbeats, Thirihshhastra lowered her eye, And what of this mark? Selene checked where Thirihshhastra gazed before thinking, That is the symbol of my grandmother, my mother’s mother. Her name is Zunesan. Thirihshhastra backed up slightly. Head still cocked to one side, she looked one-eyed at Selene, And where is your symbol, Selene? Selene smiled at Thirihshhastra, who barely flinched this time. After a brief pause Selene realized the Dragon was not joking. She shook her head, I only get my mark when I am twelve cycles old, silly. Thirihshhastra thought, When you are twelve cycles of cold? How many cycles of cold are you now, Selene? Puzzled, Selene thought, Cycles old, cycles of cold? Yes, from winter to winter is one cycle. I gain my sixth marks on the morrow. I will be six cycles of cold very soon, Thirihshhastra. A veil fell over Thirihshhastra’s mind. Though Selene perceived no discernible thoughts, tangible sadness emanated from the Dragon. In order to distract herself from the Dragon’s distress Selene thought of Eden and their mischievous play together, Our grand adventure with the Segattoo blossoms. How did that end? Thirihshhastra interrupted Selene’s thoughts with her own, guarded and framed in careful forms so strongly reminiscent of decorum that Selene forgot about Eden as she concentrated on the Dragon’s thoughts. The name of my mate is Hithrathra. We have borne three progeny, Selene. I will not name them, for they are still trapped in time’s flow and alive. Knowing Thirihshhastra shared something important, but confused as to what it might be, Selene instead framed a polite thought in as decorous a fashion as she could. Hithrathra, a beautiful name, and fitting for one so mighty as a Dragon. The emanation of sadness from Thirihshhastra deepened, Hithrathra… would that I could taste his scent, one last time. But it is not to be. Sympathy filled Selene, The memory of Hithrathra brings you great sadness. That I provoke such thoughts fills me with regret. Mind still cloaked with a guarding mist, Thirihshhastra looked into Selene’s eye, Though young, you are a powerful being, Selene. Your every thought inspires. It is not my thoughts of Hithrathra which sadden me, Selene… it is my thoughts of you. Emotionally, physically, and spiritually, Selene slumped at this. Thirihshhastra responded immediately, her wordless emanation gentle and filled with reassurance. Still puzzled, but with her heart lightening at the Dragon’s emotional support, Selene thought, But I don’t want to make you sad, Thirihshhastra. For a long while, the Dragon looked at the tiny, yet magnificent being before her. Her thoughts remained guarded, and inaccessible. When Thirihshhastra’s thoughts became perceptible once more, they were carefully composed and again filled with decorum, Selene, I would that you remember well what I shall impart. Selene immediately straightened from her slumped position, indignant the Dragon thought it necessary to instruct her to pay close heed, I am listening! Do you think that I might forget? Thirihshhastra’s emanation contained humor, Very well. You bring me great joy, Selene. Strange… for until our meeting your kind was less than nothing to me. It is not you, but my thoughts of you that so sorely trouble me. I disclosed my name, secure in the knowledge you had departed time’s ever-flowing river and now sit on Eternity’s still bank, beyond life. My mate’s name I imparted, perhaps foolishly, yet in hope that should you meet him herein you might remember me to him. Hithrathra is slain, thus he is beyond mortal harm, and forever safe. Careless as my disclosure may have been, it can bring him no ill. However, you Selene… you walk these halls long before your rightful time ceases. You should not be here, you are… you are but a pup. Selene could not help but puff her chest out and sit up straighter, making herself larger than she was as she framed an indignant thought, I am no pup! I am nearly sixth-marked! Thirihshhastra’s thought came, filled with joyous mirth, And you deserve your sixth marks, Youngling. And your own symbol, when that time comes. Me? Well I lost interest in counting my age when I matched Hithrathra, many long cycles past. Selene instinctively attempted to console the Dragon by framing a reassuring thought, You are not old, Thirihshhastra. My grandfather? Now he is old! His name is Jalgar. She thrust her right shoulder forward and pointed to its second symbol, Were Jalgar my father’s father I would wear his mark here. But Toppie is my mother’s father so I don’t wear his symbol, save within the confines of my heart. Toppie becomes an Elder this Convocation… Why, he will be thirty-six cycles old! Oh… Zunesan will be as well, though she seems young compared to Toppie. Thirihshhastra’s humorous pleasure was evident in her eye and in her thought, How strange, that your kind can bear two names. Is one name not sufficient? Selene frowned, Toppie bears but one name, and that is Jalgar. Thirihshhastra’s massive eye twinkled, Yet you named him twice. Selene’s frown deepened as she tried to understand the humor filling the Dragon’s emanation. Thirihshhastra’s eye became serious as she considered what Selene’s puzzled aura imparted. After a long pause for reflection she framed a question, Is one his true name? Selene’s face reflected her confusion, His true name is Jalgar, but I cannot address him thus, least not till my twelfth marking. Puzzlement formed within Thirihshhastra eye. After a moment she pressed the matter, You wear his mark in your heart, though not in your flesh. You named two names. Though your mind shows the truth of your thoughts, which proclaim he is Jalgar, within your heart’s bounds, his true name is Toppie. Is this boon in return for me naming my mate? Utter confusion reigned in Selene’s mind as she struggled to wrap her mind about the thoughts just presented. After a few heartbeats, she smiled in comprehension. Taking care to cover her face with her hand, lest her broad grin distress the Dragon, she thought Perhaps, in some way. Yes. Toppie is our secret name for him, Eden’s and mine. It is used and known only within our family. Thirihshhastra leaned forward and gently rubbed Selene’s shoulder with her massive jaw. Gratitude accompanied that tender touch, along with the thought, Your Toppie is but a pup to me as well, Selene. After a few heartbeats of contemplation Thirihshhastra framed another thought, its tone once more replete with decorum, I ceased tallying my age with my first progeny, granted me in the cycle of my match to Hithrathra, at three hundred. My youngest is over that age, long since. Selene’s eyes grew wide. For a moment she thought the Dragon jested with her, yet Thirihshhastra’s thoughts held only truth. Thirihshhastra slowly backed away. As she did she unveiled her thoughts completely, Selene, I would linger with you here. We could watch the river’s flow and perceive the changes in its depth, together. We might walk Eternity’s banks, traversing the future and all that is yet to come, for only time before we escaped its flow is denied us. This would be an Eternity of joy fulfilled, for your every thought brings me delight. Sadly, I fear another moment here is too long for you. I grant you my memories. From my birth to my demise. When you are ready… seek them as though they are your own. Selene felt nothing yet perceived a flow within her mind as her memories seemed to shuffle. The puzzling contradiction of feeling an actual sensation within her mind thoroughly distracted her. Thirihshhastra noted Selene’s distraction, Now… I do what must be done, to undo what should not be. I regret we part thus, Beloved, yet I can conceive no other way to turn you back from these halls. Selene, hold my memories and our names unto you alone! Farewell, Friend. With the last word, Thirihshhastra’s demeanor changed in an instant to baleful rage. Jaws wide, monstrous fangs exposed, the Dragon charged Selene with a primal, deafening, and terrifying roar issuing from her gaping maw. Selene saw Thirihshhastra’s charge and knew it heralded death within the Dragon’s fearsome jaws. Horrific comprehension filled her. Terror overcame her. Sudden warmth flooded her thighs. The frightening image of Thirihshhastra enraged clouded within Selene’s mind as she fainted from fright. Here is a link to the free sample of Malmaxa I – Beltamar’s War. 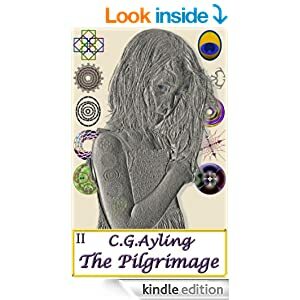 Below are the links to Malmaxa II – The Pilgrimage. If you you think my writing might be for you, please read them in sequence. This entry was posted in General and tagged dragons, eternity, The Pilgrimage. Bookmark the permalink.